Shui Meng Ng, wife of disappeared Ramon Magsaysay awardee Sombath Somphone of Laos, on Thursday urged the government to act on solving disappearances in the Philippines. Ng was guest speaker at the Third Conference on Psychosocial Support Disappearances, Torture and Extra-judicial Execution held at Bayview Park Hotel in Manila. Organized by Asian Federation Against Disappearances (AFAD), relatives of the disappeared, among them Editha Burgos, also attended the event. Burgos is the mother of Jonas who was forcibly taken by military agents on April 28, 2007. Jonas has since been missing. Since martial law in 1972, records show that there were more than 2,000 disappearances, more than 1,000 torture victims and hundreds of killings, including the Maguindanao massacre in November 2009. Sombath is a prominent civil society leader who received the Ramon Magsaysay Award for community leadership in 2005.On December 15, 2012, Laotian police stopped his vehicle. His abduction was caught by CCTV. He has never been seen since. 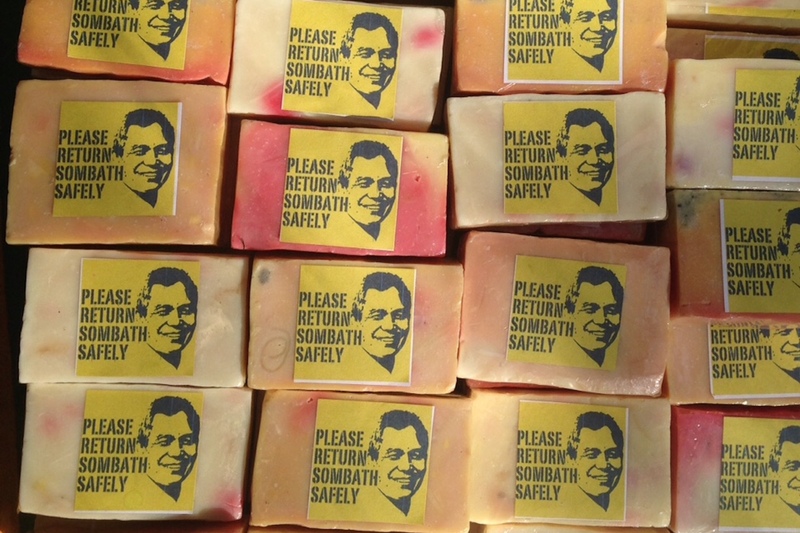 Ng and the conference participants called on the Lao government to conduct a serious investigation and do its best to make sure that Sombath will be brought home safe. She also called on all countries to sign and ratify the International Convention Against Disappearances. Out of 49 nation-states in Asia, 10 have ratified the convention but only the Philippines has a national legislation against enforced disappearances. Ng will meet with leaders of civil society groups to draw support for her husband. She hopes that the Philippines will be most sympathetic to her plight as a wife of a desaparecido. AFAD observed that many states in Asia that are in situations of conflict and political instability continue to use enforced disappearance as an instrument to silence political dissent. Victims are either men or women who are political activists, leaders and members of mass organizations or institutions that assert their rights to land, water, jobs, food, housing, education, free expression and environmental protection, among others. Commission on Human Rights head Etta Rosales also attended the event. She vowed to support Ng in her quest for justice. In 2012, the Philippines enacted a landmark human rights legislation—the Anti-Disappearance Law, which took 16 years to be passed and is the first of its kind in Asia. The Philippines is known to have numerous good laws but falls short of judicious implementation. AFAD is urging the government to fully and strictly implement the law, and ensure that no disappearance, under any administration, will be committed. Previous PostPrevious We need answers, truth, and justice.